This recipient embraces inclusivity, collaboration, and models values that support an interdependent and interconnected global world. She is a founder and president of Sigma Iota Pho-Eta Eta Chapter, co-founder and e-board director of Rutgers Gen/UN/UNA, and a board member of the Rutgers Student Assembly. 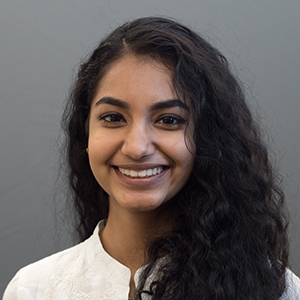 As a Leadership Scholar at the Institute for Women’s Leadership, an Eagleton Undergraduate Associate, an SAS Honors Program Student Advisory Council member, and Douglass Residential College Global Summit ambassador, she has honed skills that will prepare her to be a leader in life wherever it takes her after Rutgers.